William D. Frumkin, Partner, practices in the area of labor and employment law, concentrating on employment discrimination and employee benefits cases. 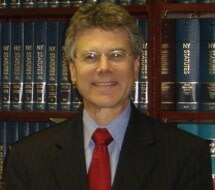 He earned his law degree at Pace University and holds a Masters Degree in Social Work from UCLA. Bill is a past President of the New York Chapter of the National Employment Lawyers Association (NELA) and former Co-Chair of the Employee Benefits Committee of NELA at the national level. He is a member of the Executive Committee of the New York State Bar Association's Labor and Employment Law Section and the Co-Chair of its Employee Benefits and Compensation Committee. Bill is also a former Co-Chair of the Labor and Employment Law Committee of the Westchester County Bar Association, and a member of the Board of Directors of Westchester Disabled on the Move. Inc. He was also recently named to the nationally recognized College of Labor and Employment Lawyers and has appeared in New York Magazine as one of New York's top lawyers Bill has been named to the list of the top 25 lawyers in Westchester County for the last 5 years, as published in Westchester Magazine. Bill has lectured extensively before bar associations and trade groups on various topics including Employee Benefits, Employment Discrimination, and Federal Civil Procedure. He was a contributing author for Disability Discrimination in the Workplace (Clark Boardman and Callaghan) and Employee Benefits Law (American Bar Association Section of Labor and Employment, BNA Books), in addition to publishing numerous articles on employment and benefits law matters in the New York Law Journal, the New York State Bar Journal, and other trade publications. Bill is also a regular contributor to the Fox Business New Network and can be seen most Fridays as part of the "Is it Legal?" segment on the Willis Report between 6:00 and 7:00 p.m. EST.